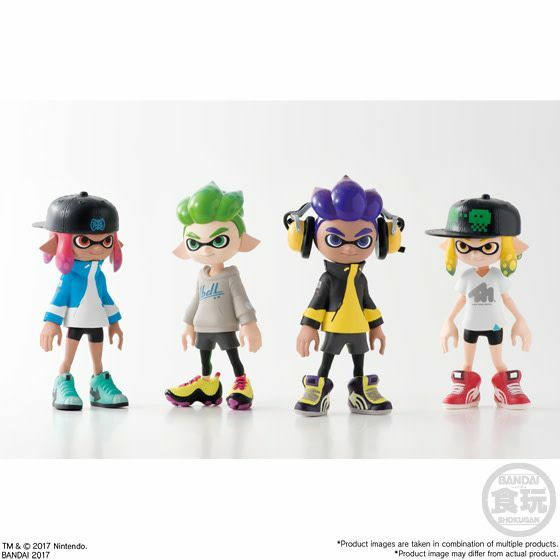 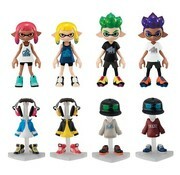 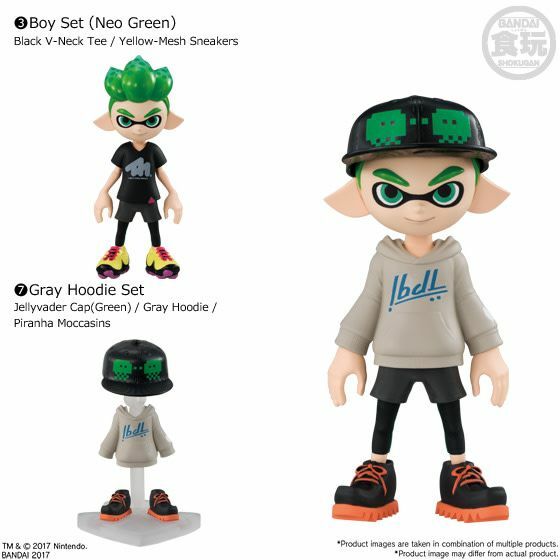 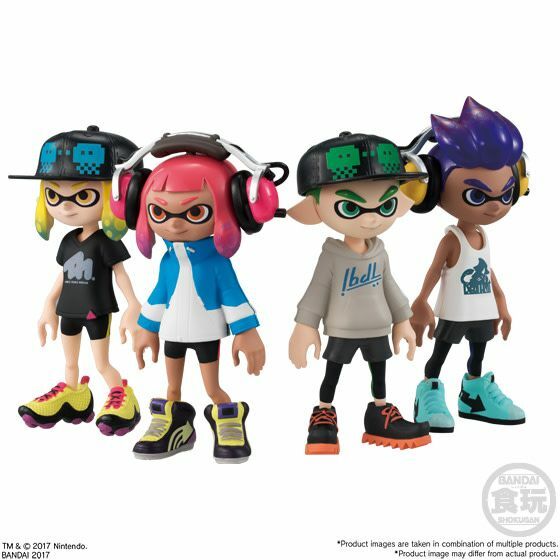 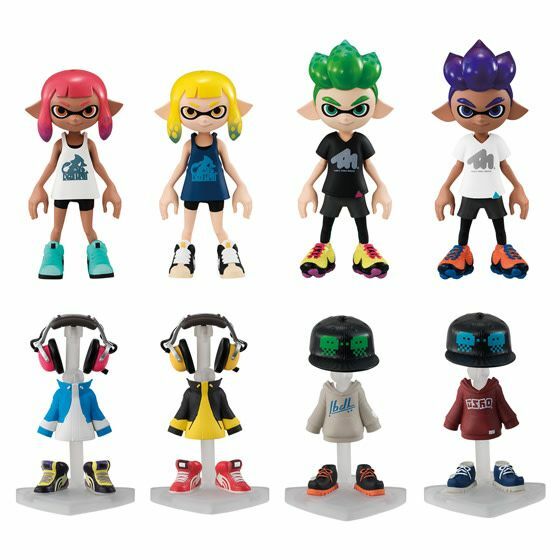 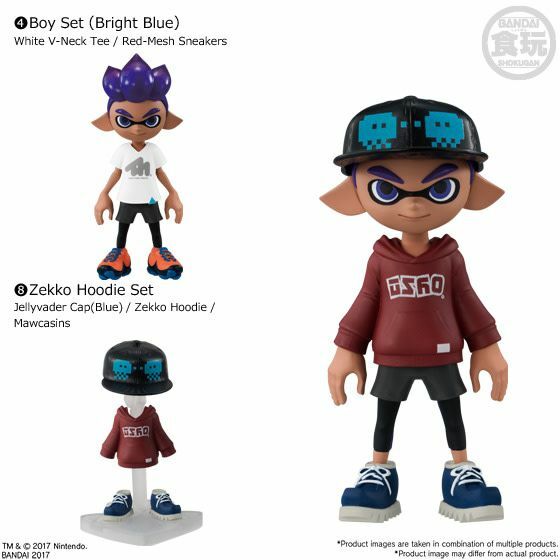 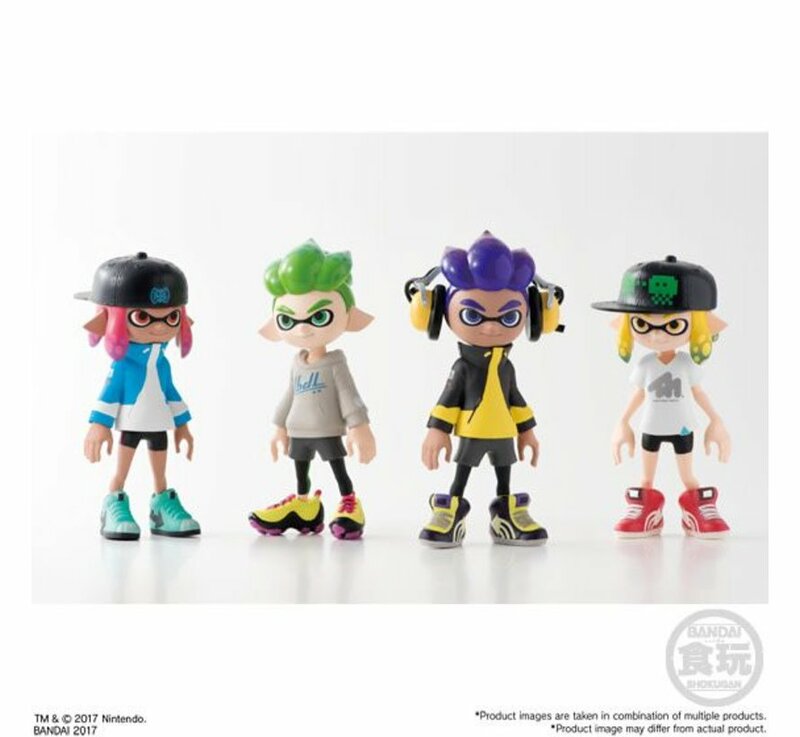 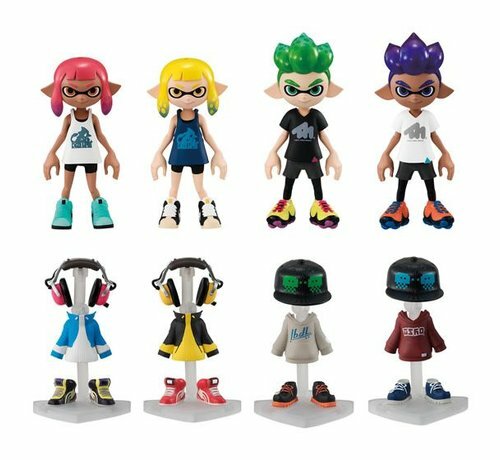 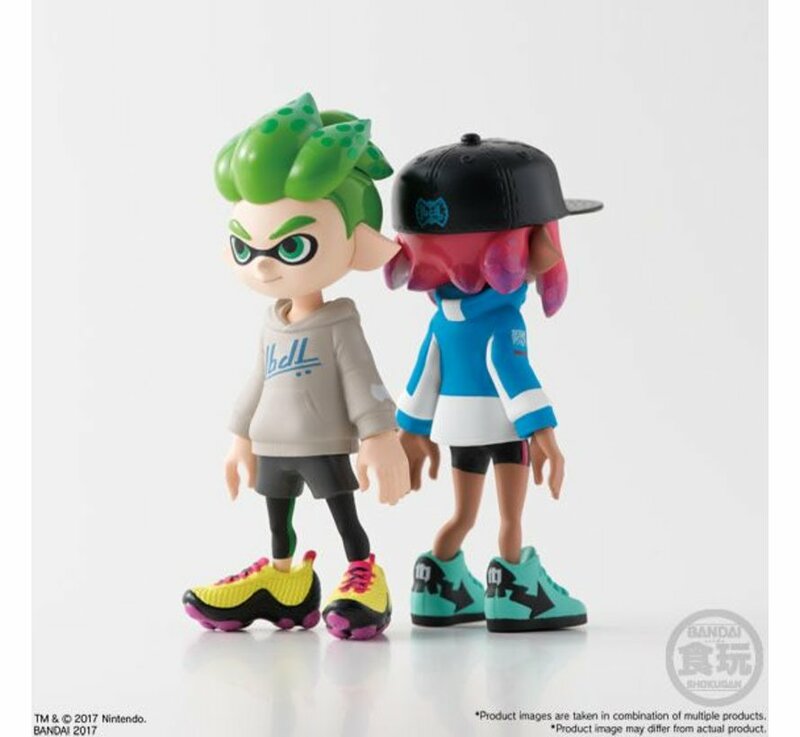 This is a new figure collection from "Splatoon2", featuring its unique gear set. 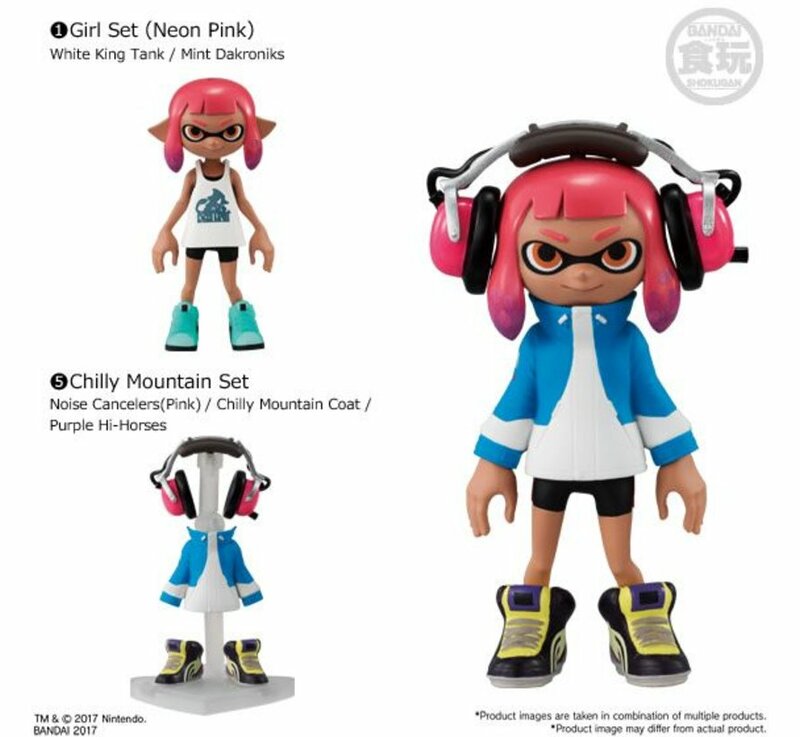 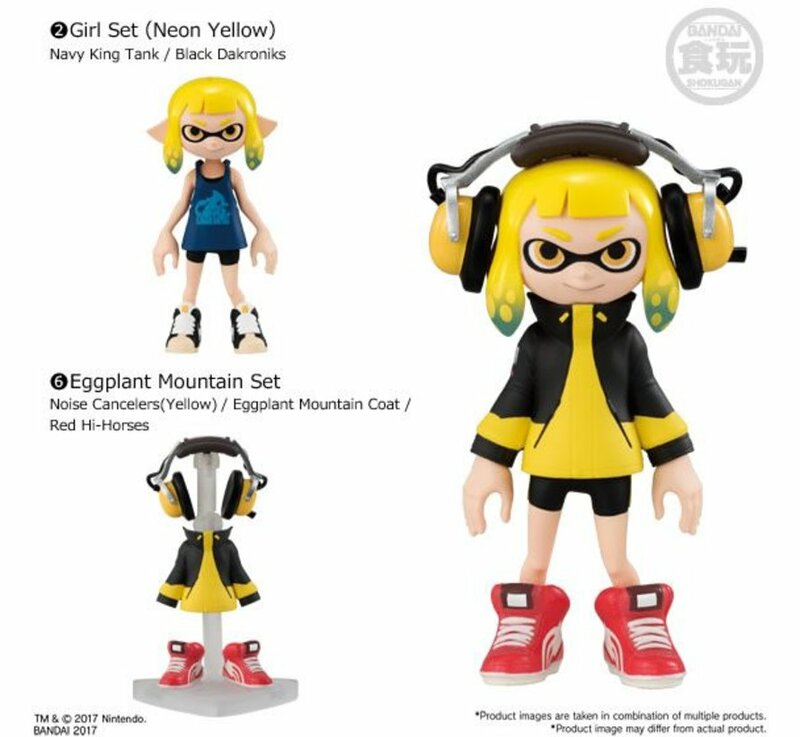 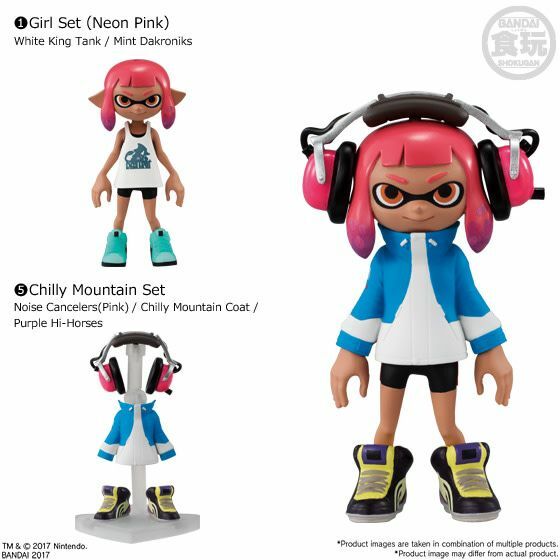 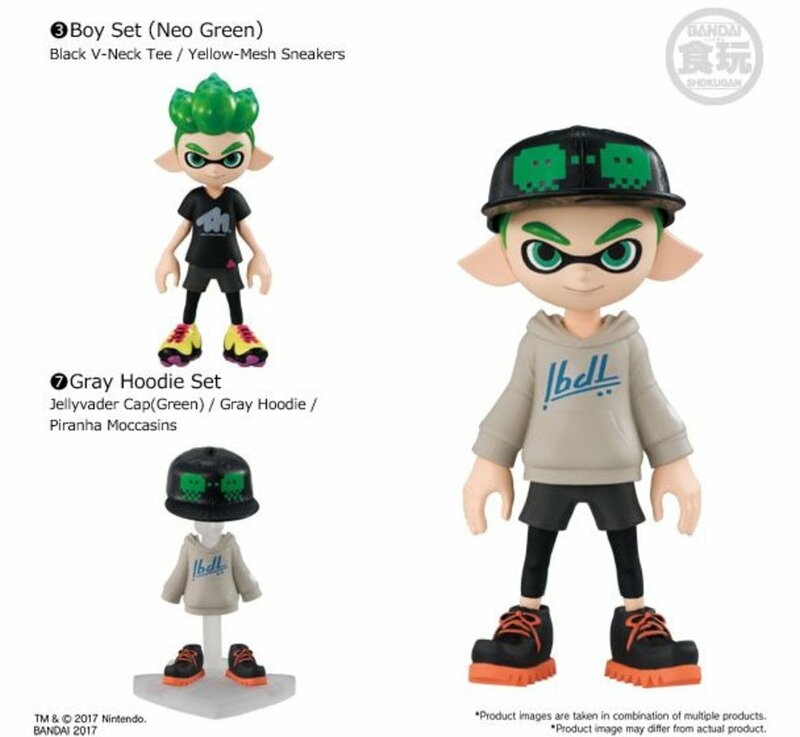 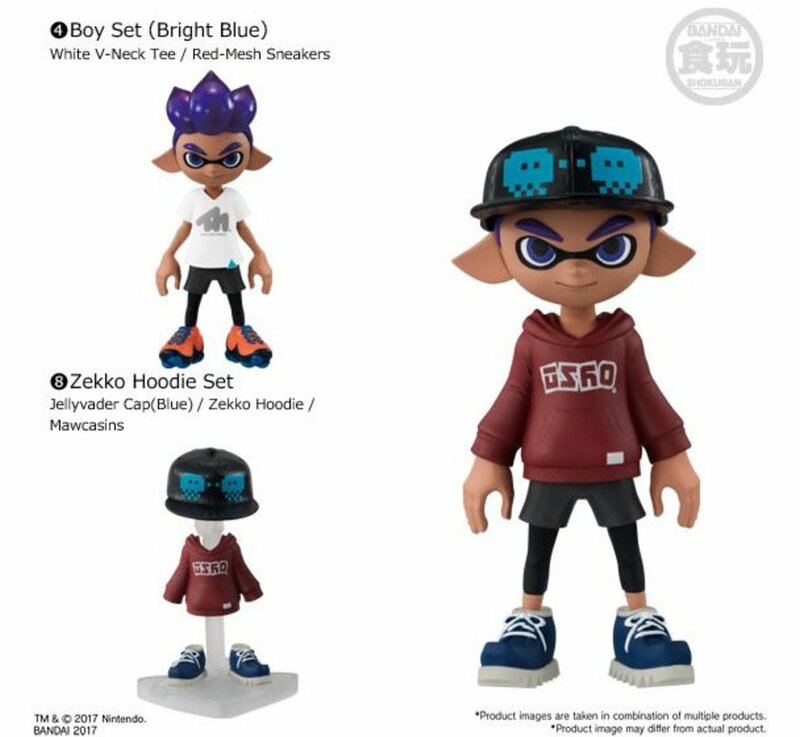 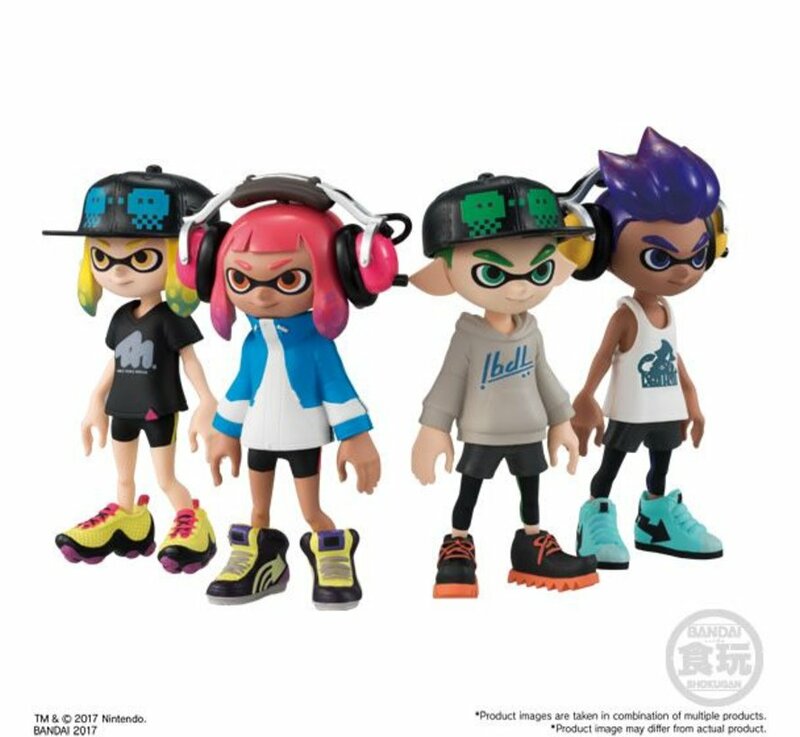 It includes: Inkling Girl set A, Inkling Girl set B, Inkling Boy set A, Inkling Boy set B, Gear Coordinate set A, B, C and D. Inkling Girl/Boy set comes with a figure and gear parts. 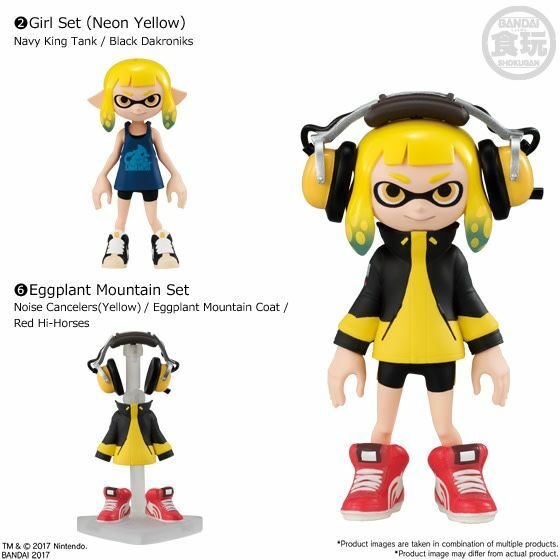 Each Gear Coordinate set comes with parts of headgear, clothing, shoes and a display base.